GFI Capital Resources, parent company of commercial brokerage GFI Realty Services, has inked a lease for the entire 41st floor of 140 Broadway in Lower Manhattan, The Real Deal has learned from CompStak. GFI currently works out of 50 Broadway, between Rector and Beaver streets, but had been on the search for updated space for a long time, said president of GFI Realty, Michael Weiser, who confirmed the deal. GFI plans to move in the second quarter of 2014, Weiser said. Cassidy Turley Tri-State President Peter Hennessy looked on the firm’s behalf. (GFI focuses on investment sales, although the firm also boasts a mortgage division and represents landlords in retail leases). The new digs are technically smaller, at 26,200 square feet, compared to the 32,000 GFI has at their current building, owned by 50 Broadway Realty Corporation. But the new space, between Cedar and Liberty streets, has fewer columns and is more efficient, Weiser said. It also has options for GFI to expand in coming years. “The space we had was really old,” Weiser said. 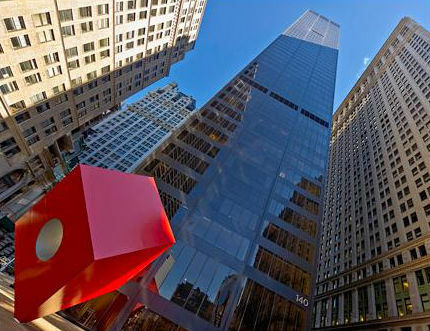 The landlord of the 51-story tower, Germany-based Union Investment, was represented by Robert Constable, an executive vice president at Cushman & Wakefield, in the 15-year lease, a Cushman representative confirmed. Asking rent was in the mid-$50s per square foot, the Cushman rep said, while Weiser said the taking rent was in the high $40s per square foot.